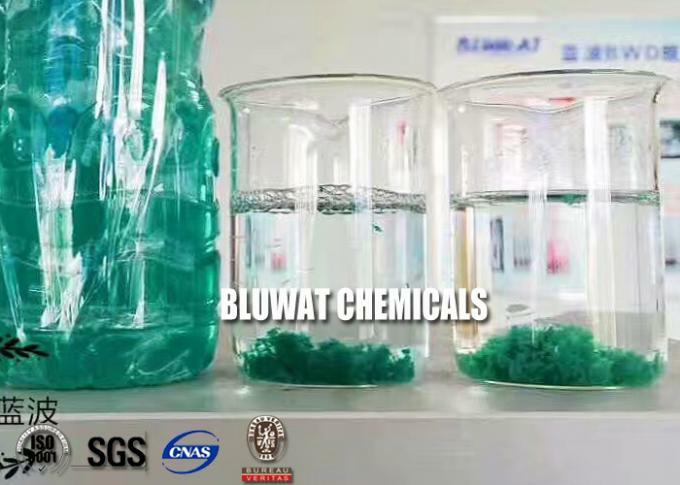 Bluwat is the biggest manufacturer of water decoloring agent in world. 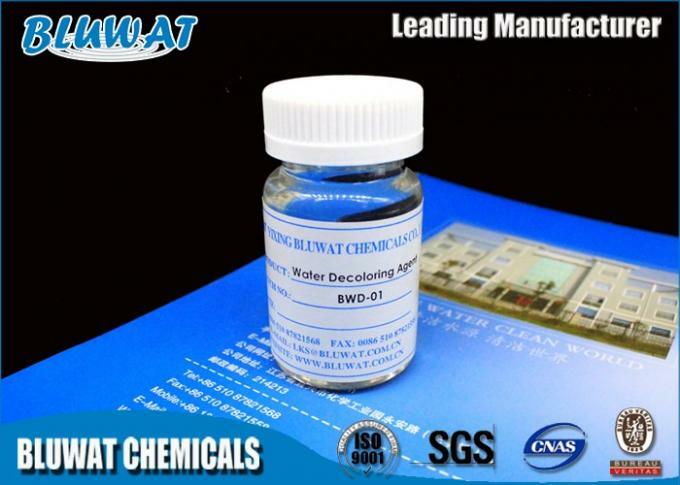 BWD-01 Water Decoloring Agent is cationic polyelectrolyte, which has high color removal of dye wastewater, by providing a large number of cations, the negative charge is brought on dye molecules are neutralized instability, at the same time with BWD-01 Water Decoloring Agent by a large number of hydrolysis of flocs. Can be adsorbed dye, destabilization of the snare, from water separation, so as to achieve the purpose of bleaching. When it used in Capsule Wastewater treatment, it easily remove the color to get clear water. 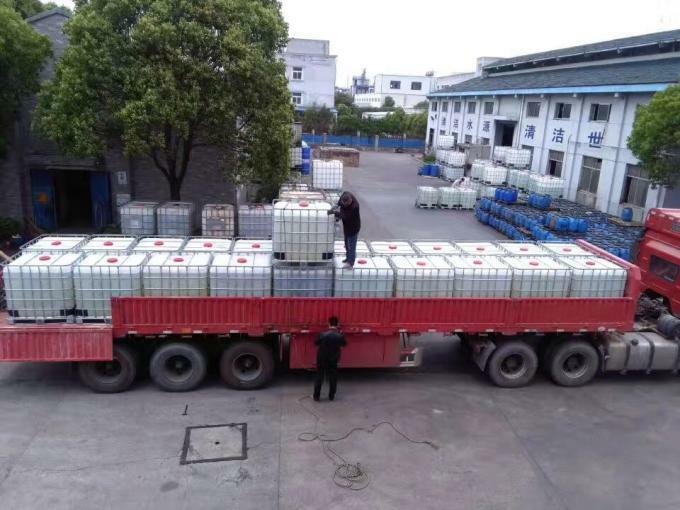 Soluble in water, safe, non-toxic, hydrolytic stability, is not sensitive to the change of pH value, anti-chlorine. Harmless, no-flammable and non-explosive, it can be stored at room temperature, it cannot be placed in the sun. It is slightly acidic, when skin contact, wash immediately with plenty of water. 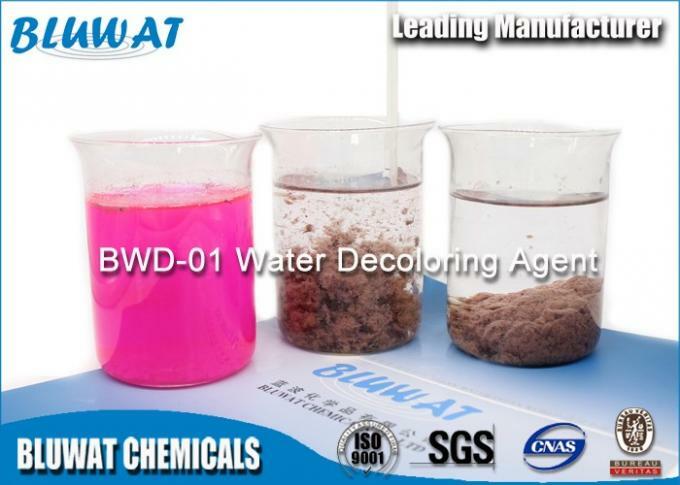 1 Make BWD-01 solution, mix with 40 times water to have 2.5% solution for use. 3 Make solution of Anionic Polyelectrolyte, 0.1%. 10 Adjust dosage of BWD-01 and PAC to do more test to have better testing result.